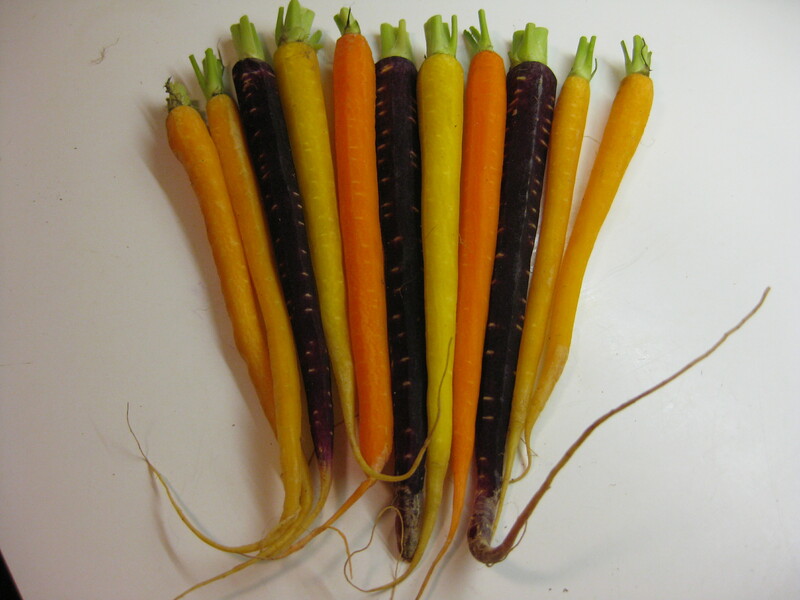 An irresistible array of multi-colored carrots appeared at our local non-profit “health food” store this week, bunched like Noah’s Ark passengers: two by two by two. They were slender, young and organic. And oh so picturesque, begging to be cooked in a way that would release their sweet flavor and preserve their colors. Yes, we could have eaten them raw, steamed them, braised them, and some version of that is what I would have done if they were local. Somehow, the time of year led me to roast them gently in the oven. 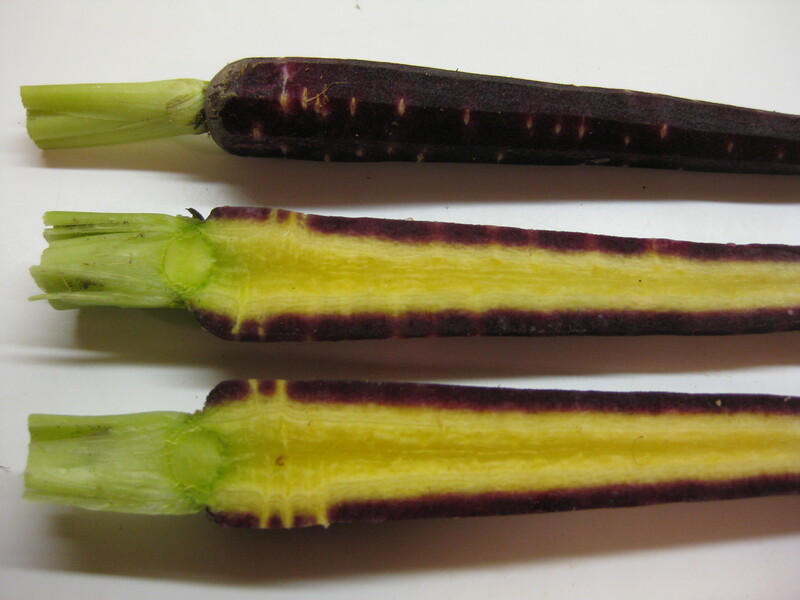 Carrots, like other dense roots (but not potatoes, which contain a lot of water), don’t fare well at high temperatures, since they get tough and brown outside before they are cooked inside. I typically go for 350 or 375 degrees, whereas the full sear requires 400 degrees and up. Sprinkled with a little olive oil and coarse salt, these beauties cooked in 15-25 minutes, depending on the thickness and color. Prick them with a thin turkey trusser to test their doneness along the way. So pretty! 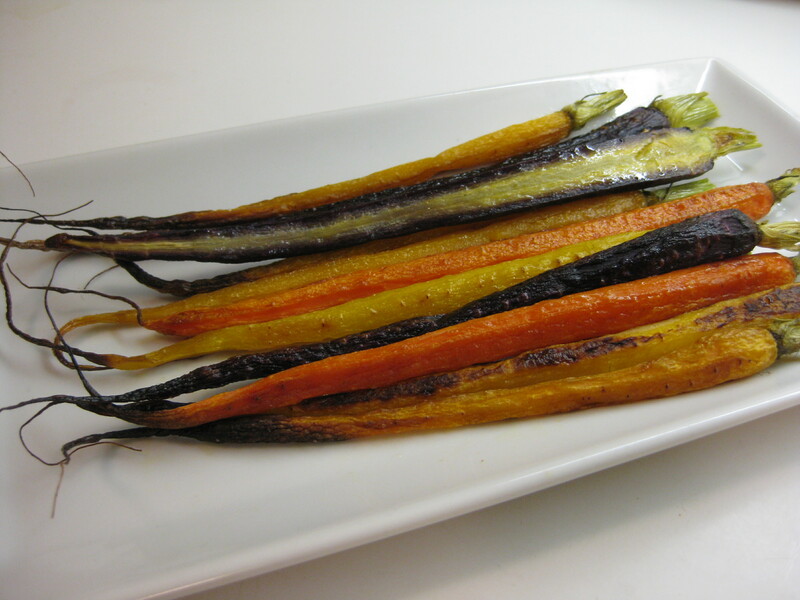 I love colorful carrots!